Your child just got another Evite for a classmate’s party? Don’t panic. We’ve got five fabulous, thoughtful gift ideas that won’t send you to the poorhouse. Give ’em the gift of song. 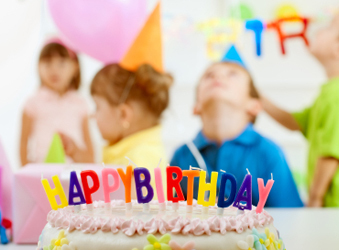 Instead of going for the hottest toy, think of what activities the birthday child loves, and get something along those lines. For just $5 or $10, you can get a gift that a child will truly enjoy and put to good use, says Lisa Kothari, a party planner in Seattle. Think small craft kits, a ticket to a local attraction or movie theater, or even a gift card—for iTunes, or to the child’s favorite ice cream shop. No, we don’t mean a pencil drawing of a cat (though that’s a good gift for Grandma). Have your child put together a kit, like a “Snow Day Fun Kit,” with a jar of homemade cider and cookie or cocoa mix. Or help your child make an easy craft the birthday child can use. You may be surprised what a hit it’ll be. “For many of the parties my children went to when they were young, I made simple capes—hemmed a rectangle of fabric, gathered it at the neck, added Velcro fasteners,” says Linda Carlson of Seattle. “When my daughter was in high school, my husband ran into a mother and she said, ‘I remember your family! Your wife made a cape for my older child that is still in our dress-up box!’ ” We doubt a plastic toy would be half as memorable.